Get Your Wine-Fix at Dewig Meats! NEW at Dewig Meats, shop for your favorite wines from local Indiana wineries to Australian vineyards and beyond. A great steak or a juicy pork chop pairs wonderfully with a nice glass of wine! We can excite your taste buds whether you like sweet, semi-sweet, chardonnay, dry or any variety in-between. With a constantly rotating selection, stop in to see what is new! Our Wine of the Month Club features a variety of wine that we think our customers would enjoy. Our Wine of the Month is available to purchase in our retail meat market the entire featured month. We try to select a variety so that any wine enthusiast can enjoy a bottle or two of our featured wine! Sales will be Monday-Saturday. Stop in today! 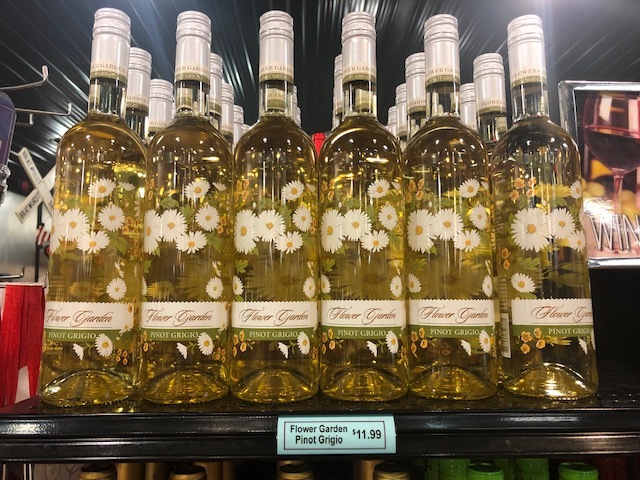 We have a new wine this month, Flower Garden. 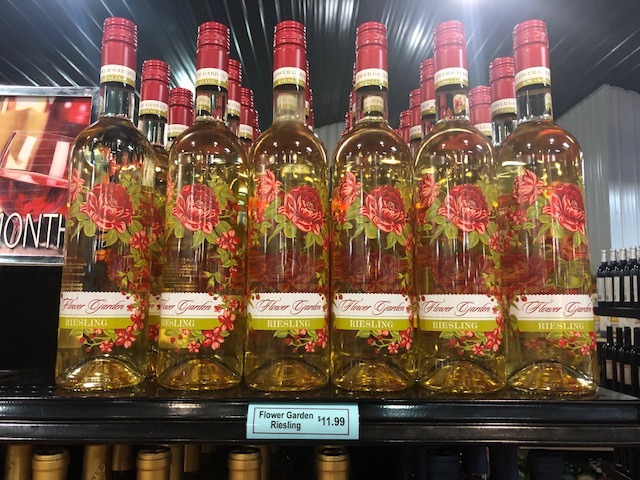 This wine comes in two varieties, Riesling and Pinot Grigio. Both bottles are beautiful and would be great for an Easter dinner or an upcoming Mother’s Day gift. 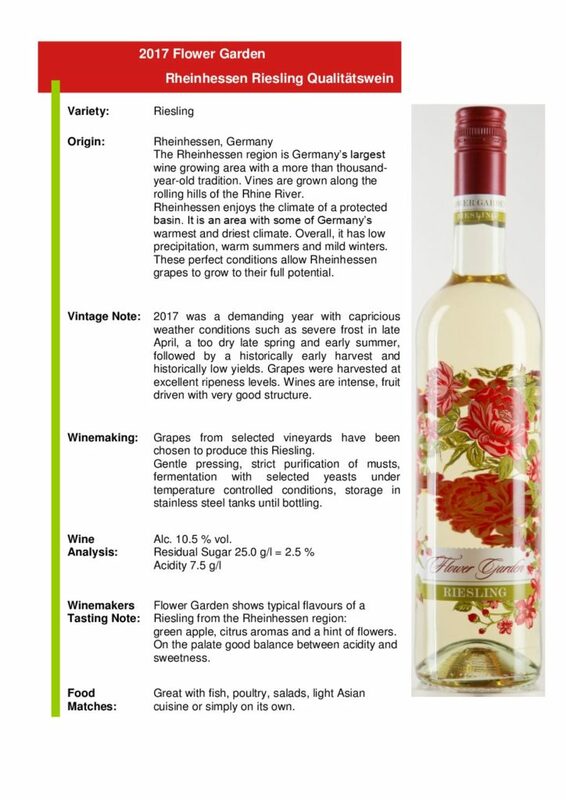 The Flower Garden Riesling is a 2017 white wine, from the country of Germany in the region of Rheinhessen. 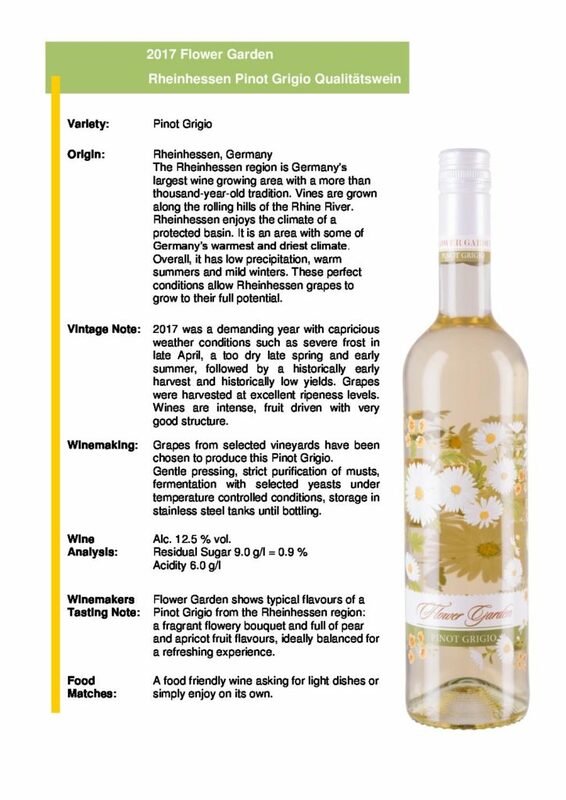 This wine has typical flavors of a Riesling with green apple, citrus aromas, and a hint of flowers. Having a good balance between acidity and sweetness, this wine will go nicely with any fish, poultry, salads or simply by itself.